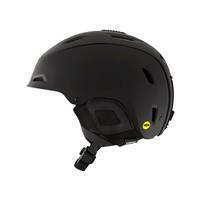 The Range Helmet is a game changing ski helmet. The revolutionary new helmet design utilizes a 2-piece shell and truly integrated fit system to create an adaptive fit helmet with Conform Fit Technology that literally forms to every rider's head shape by expanding and contracting with the turn of a dial. This stylish ski helmet is durable, yet semi-flexible and wraps around the head to deliver an unsurpassed custom fit and superior comfort. The Range features IPS Technology, Adjustable Venting, and integrated GoPro camera mount, and Fidlock Magnetic buckle closure to deliver a one of a kind snowsports helmet. 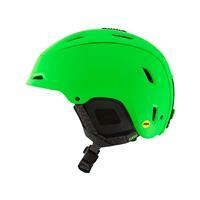 Giro helmets are very comfortable and warm. Extremely adjustable. One of the best fitting helmets out there. Has a dial fit system like all the others, but it actually adjusts the shell not just a band inside the liner. Add controllable venting and MIPS and you have it all.